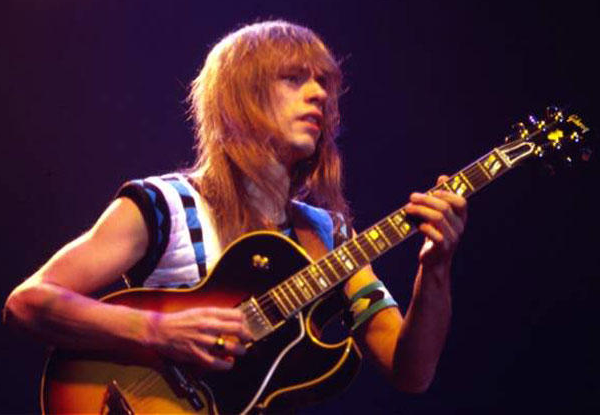 The Yes guitarist got his ES-175 in 1964, and used it in an era when virtually no one was using archtop, hollow body guitars in rock bands. "The 175 is a brilliant guitar. The parallelogram inlays are beautiful, the whole guitar is beautiful. I looked at mine for hours, if not days. I just stared at it." "But a guitar is no good if nobody's played it. And when you play a guitar, you have to warm it up; it doesn't sound good straight away. You need at least 20 minutes. The guitar's sound changes. We don't know why, exactly, but as the wood moistens and you play it, it starts to sound like a guitar. Before that, it's a piece of wood with strings stretched across it."